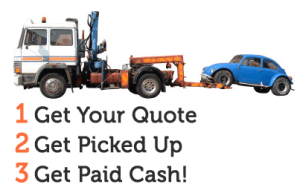 We send a tow truck to remove your car or truck and pay you in CASH. In most cases we offer same day or next day service. And, unlike other companies in the junk removal industry, we never charge any hidden towing or storage fees. Our junk car removal is 100% FREE! Step 3: You Get Paid Cash for Your Car! Our tow driver deliver your cash and takes the car away. In most cases, we are able to give you cash for your car in only a few hours, making our service one of the fastest, easiest ways to sell your car.